With expansive EcoHaus Internorm windows, the space feels larger than its 1,400 square feet. Bright interior finishes, including whitened oak on the floor and ceiling and Kitchen Collection’s Malmo cabinets in porcelain and oak colorways, were installed off-site. The silver birch trees of England’s New Forest National Park were a key inspiration in the design of what is effectively a genre-defining mobile home. 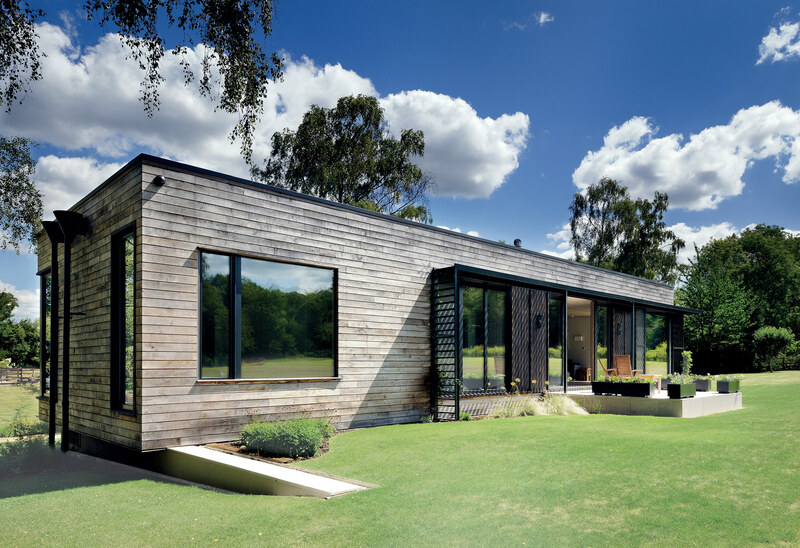 The project’s owners, Mel Matthews and her husband, Roy, had lived on five acres of this preternaturally lovely Hampshire woodland setting for 24 years—first in a static trailer and then in an off-the-shelf mobile home—before they finally decided that they’d had enough of cold winters in their poorly insulated park home. While new permanent construction is prohibited in this protected conservation area, planning permission existed for a mobile dwelling. 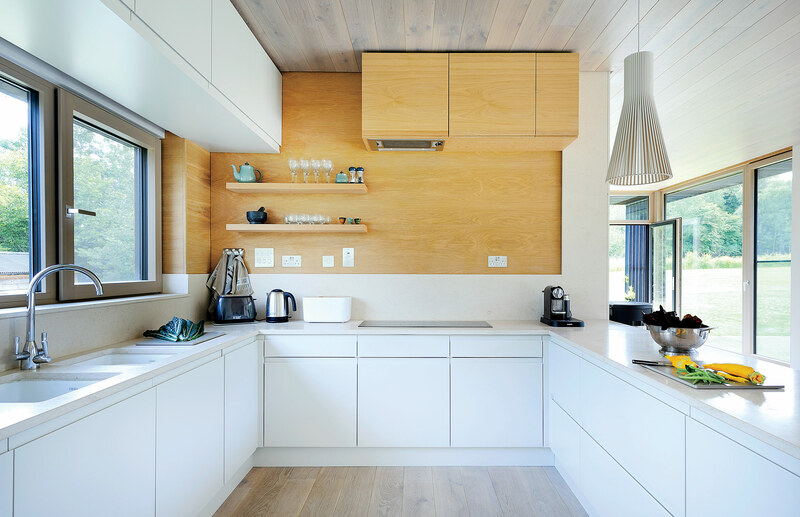 Following extensive research into the field, PAD Studio designed Forest Lodge: a steel-frame structure featuring an open-plan layout combining living, dining, and kitchen areas, and two bedrooms, one of which doubles as an office. At approximately 22 feet wide by 65 feet long, the new house is the maximum size permitted by the UK Caravan Act of 1968, but the structure sits quietly among its surroundings. Clad in chestnut boards echoing the silvery hue of the surrounding trees, the super-insulated house also features large triple-glazed windows strategically placed to allow in light and views. Internally, the restrained material palette provides a backdrop that doesn’t compete with the changing colors of the forest.